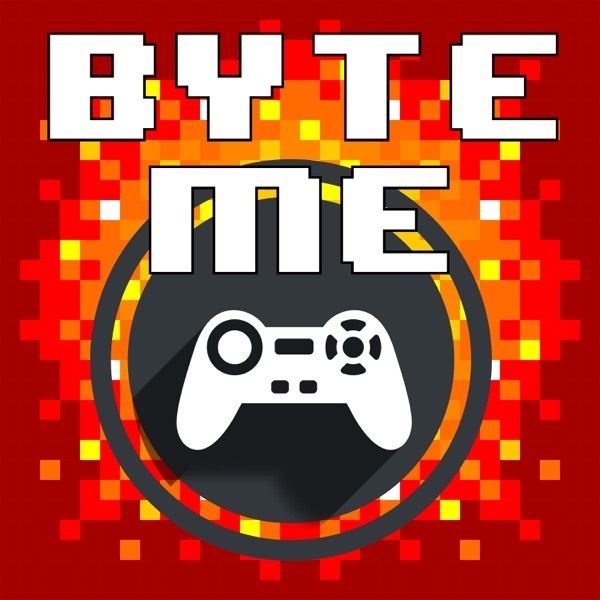 Byte Me | Listen Free on Castbox. We are firmly on the Borderlands 3 bandwagon, talking release dates, new vault hunters, at least a billion different guns, which edition to buy (including one perfect for Adam) and whether the game will feature cross platform co-op. On top of all that, Borderlands, The Handsome Collection and Borderlands 2 VR are also all getting free updates!There was, of course, some non-Borderlands 3 news too. Best Buy listed some surprising (and not so surprising) games that we are hoping to see actually come out, the Sega Genesis Mine gets a release date and price, Valve doubles down on their commitment to fix Artifact, the Call of Duty swatter responsible for the death of an innocent bystander gets a hefty prison sentence, Civilization 6 has cross progression on the Switch and PC, and Vivox is making a Switch controller that will let you get rid of your squid adapter. Finally.We also answered questions from Vinny, Turndwn4wut, JoeColeslaw and Alan S and talked about a TON of free and cheap stuff you can pick up this month. Buckle up folks, it's a long one!There are a ton of new games coming out for nearly every platform and I think they all got announced or got a release date this week! SteamWorld Quest, nine new PSVR games, Wolfenstein: Youngblood and eight new ID@Xbox games coming to Game Pass!EA laid off nearly 4% of their workforce (mainly folks in marketing, publishing and operations) and we want to wish them the best of luck finding new jobs. Sony is going to stop selling PS4 game codes at retail and that is bad news for Gamestop, No Man's Sky is getting a VR mode on PSVR and SteamVR plus a new social and multiplayer experience, Apple announced Apple Arcade their new game subscription service, Nintendo might be releasing two new versions of the Switch and The Philidelphia Fusion are going to be the first esports team to get their own arena in the US!We answer some great questions about video games and musical theater, the value of retro gaming, if the Switch is the future of consoles, how we'd save Gamestop, what quests we would lead hapless heroes on and a huge game of This or That! Xbox Games with Gold and Playstation Plus games have been announced and we chat about which ones to look out for, we are going to try to convince you to date a grasshopper in this week's Humble Bundle and Gwent is coming to your cell phone! We talk at length about Google Stadia, the new streaming platform that Google announced at GDC. We also talked about Lucasarts coming back (and then found out after the fact that it's probably not true, whoops!) Nintendo is releasing a TON of games on the Switch including a surprise Zelda game and Oculus revealed the Rift S.We answered a bunch of great questions (some about video games, some not) and dug into some great cheap and free games coming out in the last half of the month. Hans got to play the new Sterns Munsters Pinball, the Playstation Classic has been hovering around $40 for a while now (and might be worth that? ), a guy found a NES Championship cart worth $15-20k in his attic, a very specific Super Mario Bros cartridge sold for $100k, new games are available on the Switch if you subscribe to Switch Online and Sega is asking for recommendations on games for the new Sega Mini.After the news we take a deep dive into Beat 'Em Ups from Kung Fu Master to Double Dragon to X-Men. There are so many amazing games in this genre just dripping with nostalgia! Finally, we answer some questions from Vinny, Turndown4what and JoeColeslaw! The Master Chief Collection is coming to PC (and Steam! ), the OG version of Diablo is back and up on GOG, the Dead Cells DLC is coming out way sooner than we thought, Bioware is patching bugs and players are pissed, Devil May Cry 5 has a scene that is only censored on the PS4 and a couple of new Octopath games are in the pipeline.Plus we answer a bunch of great questions (some that are about breakfast), talk cheap and free games, look at a new Small Bites and throw Spiro in Troll Corner. It's another great week in podcastland! We talk about a fun writer reveal for Star Wars: Jedi Fallen Order, Days Gone effectively has two full length movies stuffed inside of it, the Xbox One S All-Digital Edition might actually be a thing, Friday the 13th: The Game: The Switch Edition: Plus DLC is a thing (although we still aren't sure how), if you aren't playing Apex Legends or Fortnite what are you actually playing, Anthem is not very stable on the PS4 and RIP PS Vita.We also answer some great questions, talk Girl Scout cookies and go over a TON of cheap and free games. A great podcast with a bunch of dudes (sometimes a girl), having a great time talking about video games. Weekly news and viewpoints from a variety of generations, with the occasional comedic relief, and interactive questions from the community, all compacted into one clip. Great for a listen in the car or anywhere you go. The online discord community are great people! come check it out!